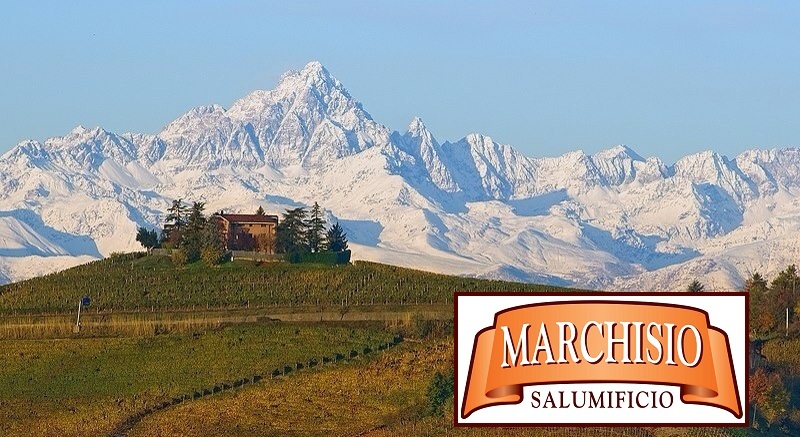 SALUMIFICIO MARCHISIO is based in north-west Italy, in Piedmont Region, in a village called Pianfei. Our factory is located between the Langa hill countryside and the “Alpi Marittime” in Cuneo region called “Provincia Granda” for the extension of its lands. SALUMIFICIO MARCHISIO tried to create a bond between its products and what makes this land unique. From the Langa hills, rich of food and wine traditions, SALUMIFICIO MARCHISIO managed to combine Barolo wine and black Truffle with the traditional mixture of Marchisio Classic salami and create two specialties salami with rich taste. From the “Alpi Marittime”, descends the stream of fresh and pure air coming from the nearby “Mar Ligure” sea, creating the optimal microclimate for salami seasoning.